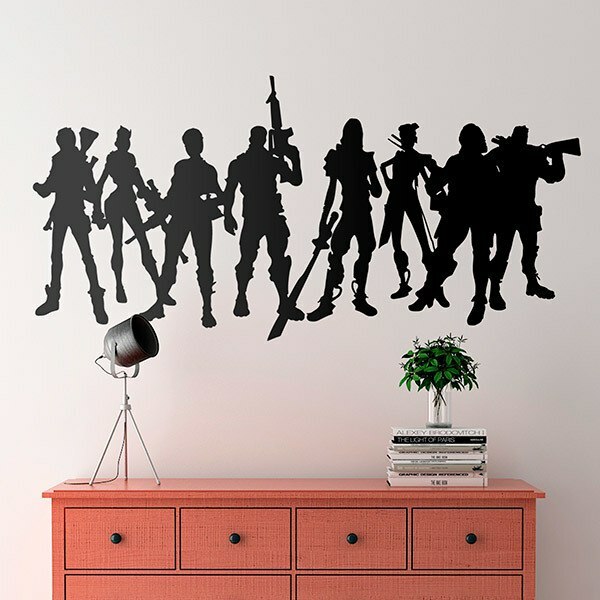 Wall sticker Fortnite Players. 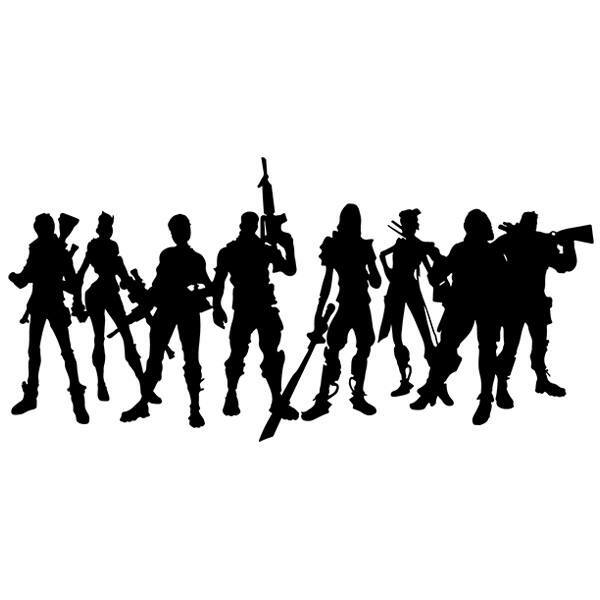 Silhouette of 8 players of Fortnite, the successful online video game of action and survival cartoon style. Created by Epic Games, it allows you to participate in battles of up to 100 players where only one can be left, or play by teams against zombies. Size: 74 x 37 cm.